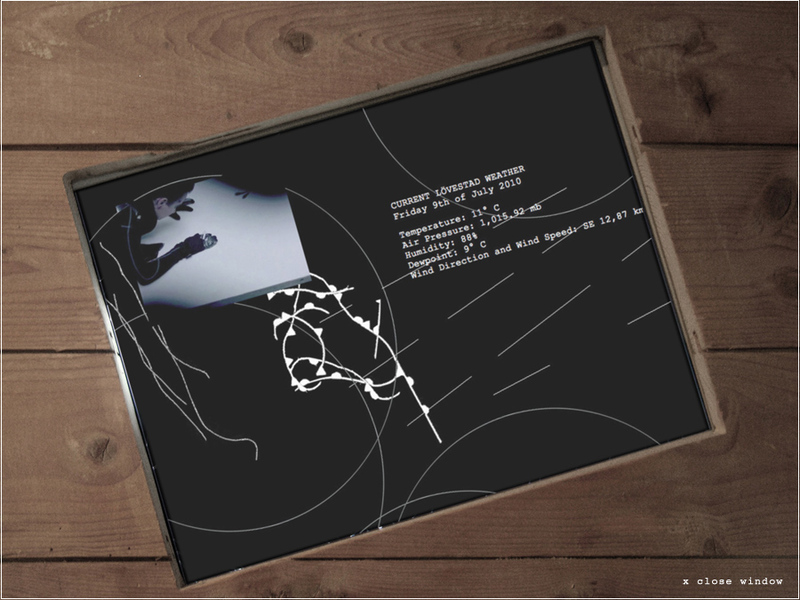 >>Partly Cloudy Structures<< is a web-driven installation featuring a spider-like creature who takes on residency simultaneously in a mill (@ Kulturmöllan in Lövestad, Sweden) and online; her movements and actions are influenced by local real-time weather data. A set of weather data such as wind direction, wind speed, temperature, air pressure, humidity, and dewpoint are accessed in real-time and are choreographing the movements of the spider's activities. Temperature, air pressure, humidity and dewpoint are influencing the movements of its own graphical representations. 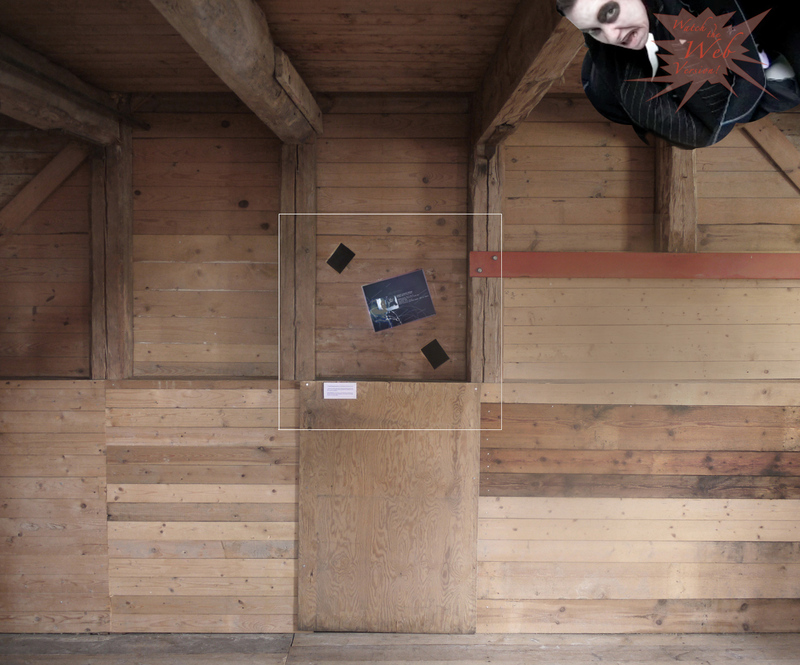 Wind direction and wind speed are directing the video performance. Wind direction also determines where the data performance happens within the browser window. Wind from the South will blow the set of graphics/videos into the bottom area of the screen, while wind from the North will display them on top of the screen. The same goes for East and West, which will place the action on the left or on the right within the browser window. 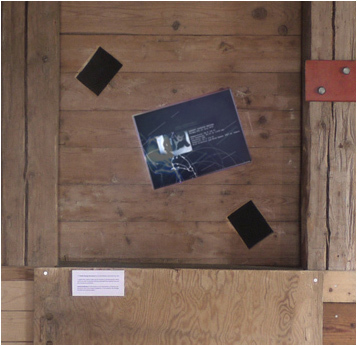 >>Partly Cloudy Structures<< was shown in the exhibition >>Shadow & Light<< @ Kulturmöllan in Lövestad, South Sweden. The exhibition was curated by Marek Walczak, Lars Eklöw, Johanna Kindvall, and Anna-Maria Eklöw and was featuring works on the theme of shadows and light. The show -- and the installation -- was up and running from July 10 - 31, 2010. The Web Version of "Partly CLoudy Structures" is continuing online. Credits for "Partly Cloudy Structures": Concept/Design/Video/Spider Enactments/Web Front End/Sound: Ursula Endlicher | Drupal/PHP programming: David Farine | Installation @ Kulturmöllan: Marek Walczak | Catalog: Marek Walczak & Johanna Kindvall. Watch the real-time web version of >>Partly Cloudy Structures<<. Watch the real-time web version! Enlarge for a close-up of the installation.